BenQ LK952 Ultra-Accurate 4K HDR BlueCore Laser Projection harnesses the enduring DLP picture quality and razor-sharp 4K resolution to deliver impactful visual communication. With the capability of generating intense BlueCore laser-powered brightness for 20,000 hours of maintenance-free operation, BenQ LK952 harnesses the enduring DLP picture quality and razor-sharp 4K resolution to deliver impactful visual communication. With HDMI out for multiple screen applications and versatile installation flexibility empowered by the horizontal and vertical lens shift features, LK952 is tailored towards the diverse range of application scenarios in modern enterprises. By leveraging the innovative HDR technology and industry-leading BlueCore laser light source, LK952 facilitates impactful and professional corporate presentations with an accurate and detailed content display, allowing companies to achieve the utmost efficiency and professionalism. LK952 produces 4K UHD 3840 x 2160 resolution with 8.3 million distinct pixels for each frame to achieve CTA’s standard, and it utilizes the revolutionary 0.47” single-DMD DLP technology to maximize the projector’s sleek, compact profile for a modern corporate environment. With four times the resolution of Full HD 1080p, 4K UHD delivers awe-inspiring clarity and crisply defined details. To avoid inherent alignment issues of multiple panels, which can be more serious when projecting 4K content, BenQ's LK952 4K Laser Projector preserves color and image integrity with the single DMD DLP technology. Generating razor-sharp images and pure colors, LK952 eliminates problems such as blurriness, shadowing, and interference patterns for immaculate clarity. LK952’s 5000lm high brightness allows presenters and participants to deliver presentations in comfortably lit medium-sized conference rooms, supporting uncompromised debate, collaboration, note-taking, and interaction to facilitate the most productive meetings. The high luminance provides professional picture quality for installers to satisfy stringent corporate standards. For large meeting rooms accommodating 50-80 participants, multiple projected screens can offer improved viewing experiences for the audience. Conventional projectors provide an analog-signal VGA output, which can decay due to the transmission distance. 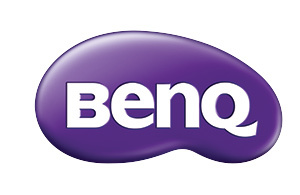 BenQ LK952 delivers a perfect digital signal via HDMI output directly from the projector to projector or other HDMI display devices with no signal degradation.